Warhammer 40,000: Space Wolf giveaway! Win one of 20 copies of this card-based strategy game! 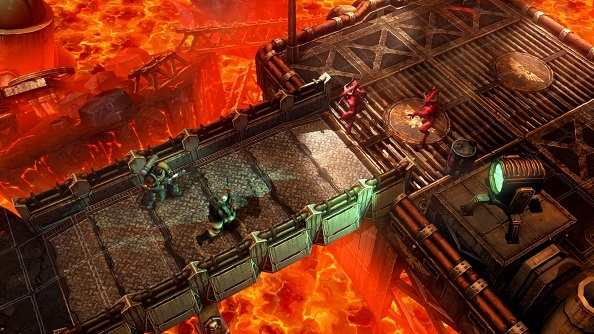 Warhammer 40,000: Space Wolf is a turn-based tactical RPG with a card-driven battle system, which isn’t nearly as complicated to play as it is to write. You take control of the Space Wolves Squad, a cabal of soldiers who are perhaps having The Worst Day Ever™, stranded on the rather dangerous sounding volcanic planet Kanak whilst being pursued by Chaos Space Marines and Space Demons. You’ll need to lead your band of Wolves through a vast single player campaign, before delving into PvP and survival modes for the game’s ultimate rewards. We’ve got 20 copies of this strategy card game to give away, and all you need to do for a chance to win is enter via our widget below. We’ll also need your email, but not for anything fishy – we just need a way to contact you should you win a key! If you like free stuff we’re always giving away, pop over to our Facebook page and give us a Like to stay in the know about our future giveaways.